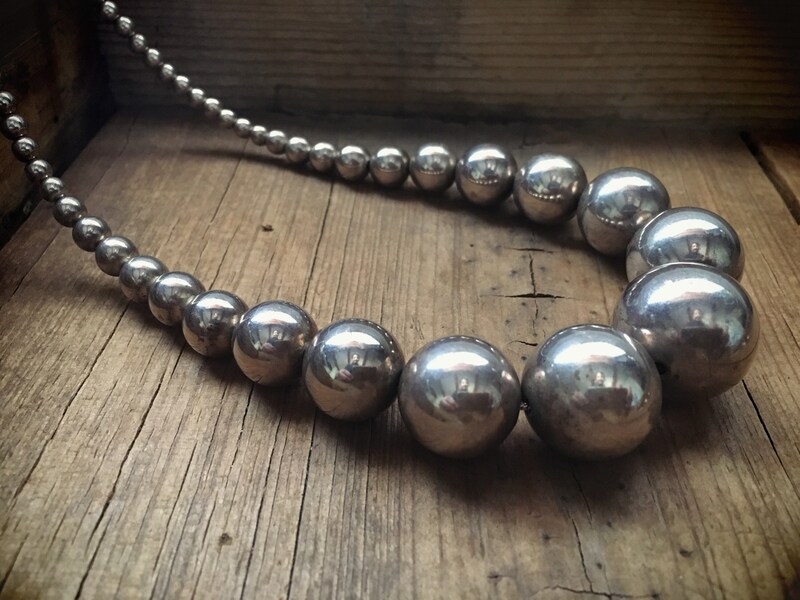 Beautiful silver bead necklace in a style called "Navajo Pearls." This piece is necklace length and looks amazing with a white blouse or black sweater. It will become your go-to versatile piece. 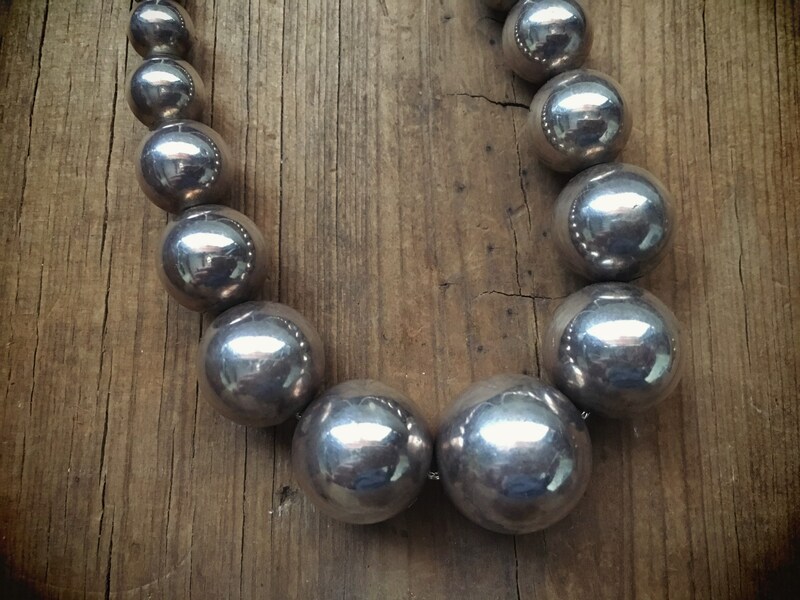 The necklace also stands out for the soft patina, which only comes with age and wear. As these are not marked by an artist, we cannot claim with certainty that they are Native American; however, we believe they are Navajo. 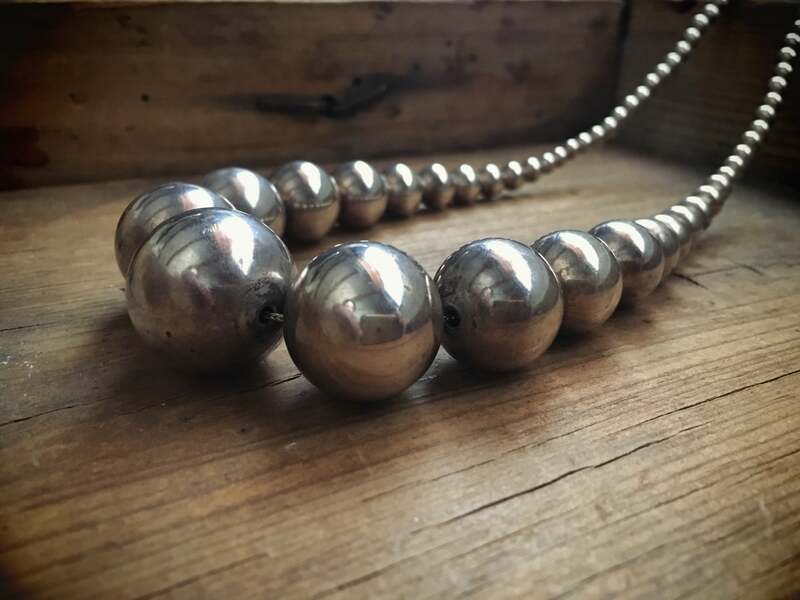 The necklace measures about 25" in length, and the round beads are graduated with the biggest at just under 1" in diameter and the smallest 1/4”. 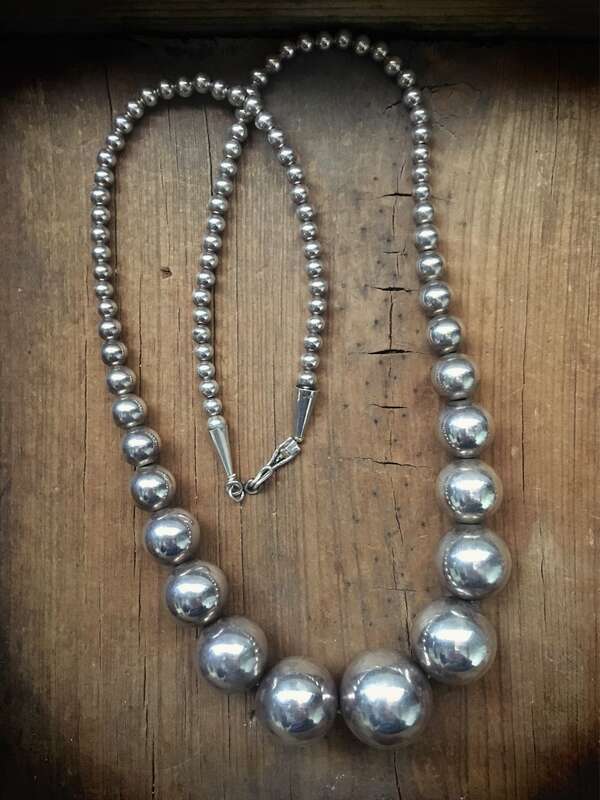 The beads are thread onto a silver link chain, and we believe these are circa 1960s to 1970s. One cone is marked STERLING.